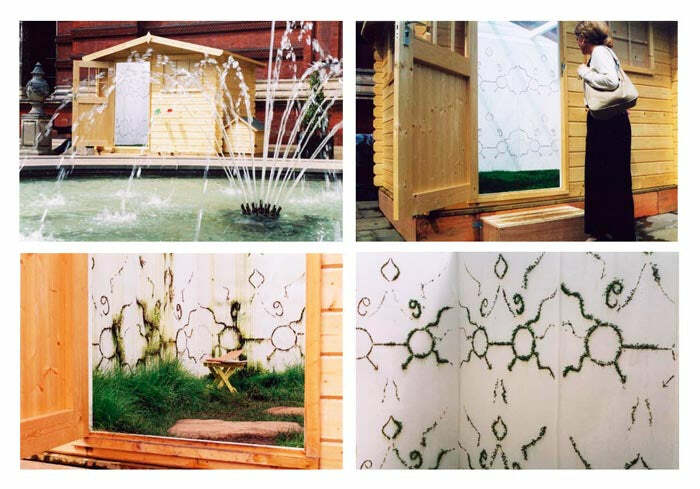 In 2004 the Victoria and Albert (V+A) museum decided to challenge the annual RHS Chelsea Flower Show by putting on an alternative show called The Other Flower Show: Artist's Garden Sheds. The sheds were displayed in the V+A Museum garden and the exhibition was opened to the public in June 2004. Each artist explored different elements of the qualities of nature and gardens. Let's take a look at how these incredible artists transformed their garden sheds. Heather fixed seeds to the wall of her shed and photographed them growing. Rooted in Time and Motion pays tribute to the great scientific works of Sir Isaac Newton. Heather used the shed to examine the notion of gravity, time and motion, from the growth of a single seed. It’s amazing to see how the seeds have grown into the design it reminds us of something that you would see on the wall of a secret garden. Heather Barnett is an interdisciplinary artist and educator, working with biological systems, imaging technologies and intelligent organisms. Tord put his shed on stilts and turned it into a children’s den. Boontje's shed was transformed into a fairytale chill-out den. Raised two metres in the air, it was reminiscent of a tree house or a children's secret hideaway. The interior of the den housed the same pattern of the outside of the building and there were fresh flowers hanging on the ceiling. Tord Boontje's is an established designer and has worked for influential companies such as Alexander McQueen and Habitat. Vince and Martyn turned their shed into a surround sound booth that played sounds of nature transporting the viewer into a completely new location. Using a custom-designed 'Heightened Reality' 3D surround-sound system, Vince and Martyn created a 3D sound field that completely immersed the listener. The sound shed played a variety of immersive recordings of the British countryside. They took listeners to forests, lakes and cliff tops through sound. Vince Clarke and Martyn Ware form the Illustrious Company. Illustrious offers “the most immersive, sonic-augmented reality available” the pair collaborates with other artists and organisations, to create 3D soundscapes for various exhibitions and events. Tracey turned her shed into child’s hideaway and filled the shed with props that she made for a Jean Cocteu stage play. Tracey created the piece as reference to a beach hut that she stayed in as a child. The shed was a personal project which she filled with things that she has either designed or made; drawings, pieces of furniture, patchwork curtains, a lamp, cat pictures, figurines, all of the items together create the emotions of desire, lust, love and hate. This looks the perfect place for a child to play in it would even work as a lady shed. Graham turned his shed into a Carribean style hut which features a political map of the British Empire painted in blood red. The shed was equipped with speakers, amplifier, transmitter and antenna, which he used to play reggae songs mixed with a poem by Robert Burns. Graham Fagen’s is an artist who brings together contrasting cultures in his work. He often focuses on the means of communication within a culture, and how it is compromised or transformed when taken out of context. FAT used their shed to cleverly re-create a British summer rain fall, usually something we can all relate to as we have experienced rain at a garden party. The shed was turned into somewhat of a water feature with a series of pipes that created a dripping ceiling. The dripping ceiling prolonged a recognisable moment in time - the streams of drips were collected in buckets that are connected to pumps taking the water back up to the roof. The movement of water around the shed resembled modern plumbing and the natural system of the water cycle. FAT Architecture is an award winning practice with an international reputation for delivering outstanding projects at a range of scales and for many different uses. They have completed projects for BBC, Selfridges and Living. We really like that this shed used the brief to express the nature of the British weather and a typical summer tradition. It instantly reminded us of what it is like to have a BBQ disturbed by a sudden down pour and everyone running into the house or shed for shelter. Sarah focussed on the structure of her shed and adapted it adding round windows to resemble a Swiss cheese. The interior is designed to show various angles and levels where everywhere you look you get a different experience and view. We particularly like the colours and the interesting angles that make it look like you've walked into a completely different building all together. Chris and Taylor turned their shed into giant child’s colouring book. They made black and white wallpaper and left out crayons for the viewers to add colour. The designers are known for their interactive wallpapers that encourage the viewer to take part in creating the final design. Taylor and Wood have been working in collaboration since 2000. Chris Taylor is an artist, curator and publisher. Craig Wood is an artist and lecturer in web design. We think all of these sheds are amazing and the different interpretations of the theme are clever and inspired. This year's RHS Chelsea Flower Show is taking place from the 19th to the 23rd May 2015. 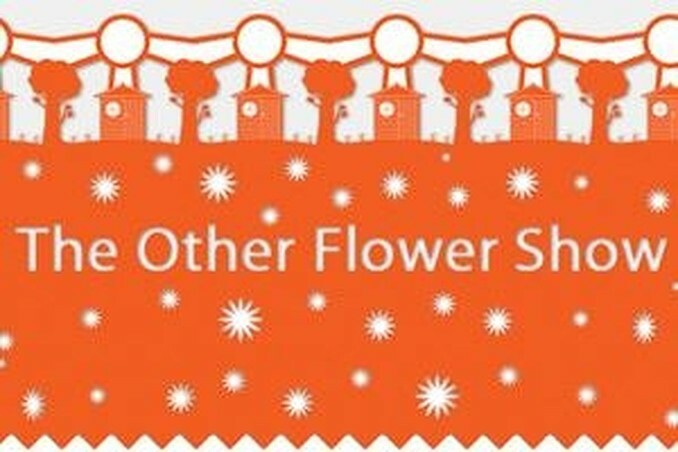 The Other Flower Show by Waltons Web Ltd. is licensed under a Creative Commons Attribution-NonCommercial-ShareAlike 4.0 International License. Based on a work at https://www.waltons.co.uk/.